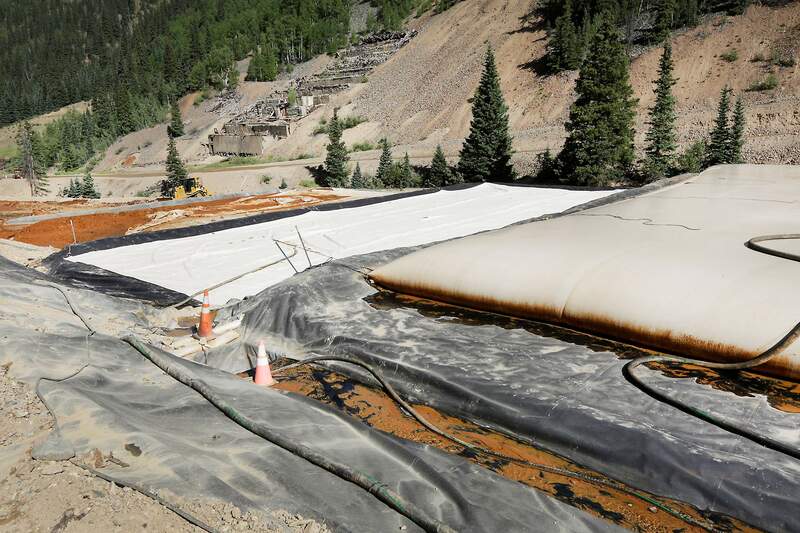 Bladders collect sludge from the Gold King Mine at the Environmental Protection Agency’s water-treatment plant in July. The EPA is looking for a permanent repository for the sludge, which the agency says is nontoxic. The Environmental Protection Agency continues to search for a permanent resting place for sludge from a water-treatment plant at Gladstone, and it is vetting solicitations from private businesses to address mine cleanup in the Bonita Peak Mining District. The agency met Wednesday morning with La Plata County and Durango officials for a monthly update on Superfund efforts for the district. Superfund project manager Rebecca Thomas said she’s confident the district will be officially listed on the National Priorities List next month. Sediment collection will begin the week of Sept. 6 and continue through the month. In other updates, the EPA has enlisted its Office of Research and Development to screen several vendors and businesses that have approached the EPA over the past year with innovative ideas and technology for mine cleanup and water treatment. Thomas said the EPA has identified a few potential sites, with an alternative of dumping the sludge at Silverton’s landfill. The sludge has passed a TCLP (toxicity characteristic leaching procedure) analysis, or a method of simulating leaching through a landfill, and it has been deemed nontoxic. The EPA is planning to meet with San Juan County and La Plata counties and tribes in mid-November to provide those communities with an update.